Do you want to say, “We have spirit!” at the next game ? How about a thunderous salute in the sky, with brilliant school colors as the team heads on the field ? We can bring your game to new levels with precise and safe pyrotechnics. Do you have a community event coming up and a desire to attract more visitors ? 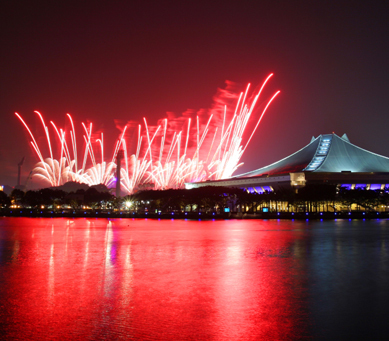 At Sky Wonder, we can say that a pyrotechnic show brings in the crowd to peak levels. This will increase your community’s revenue and will keep bringing everyone back for years. We have access to an endless supply of exciting pyrotechnic effects explicitly designed for indoor use. Consequently, we can create compelling indoor displays to accentuate your team’s performance as well as celebrate victory when the game is over. Our team is made up of accredited pyro technicians who design and create special stage effects that will stay in the minds of the audience for a very long time. A lacklustre performance can create a monotony, especially if you do not have exceptional backup singers. Instead of worrying about where to find that talented musician who doesn’t allow room for error, let our indoor pyrotechnics create an amazing atmosphere that will definitely keep your audience on its toes throughout the entire performance. We guarantee you that everybody will be impressed from the moment you step onto the stage to the moment the last beam of light will die. For intense moments that require team spirit, we can deliver a wide range of pyrotechnics to boost the morale of the team. From fire, smoke, shooting streamers and raining tinsel foil to sparkling fountains, we can transform any room to create an effect that you desire. Sky Wonder is your personal pyrotechnics consultant for every single part from the design of the effects to the overall performance of the pyrotechnics in all kinds of events including weddings, parties, private events, concerts, product launches and theatre events. We don’t use flammable material in the construction of air bursts or any other pyrotechnic effects. Rather, we use specially designed non-toxic highly-vapourising plastic films to create a spectacular effect. We know the consequences of overdoing an effect and that is why we always maintain a safe distance to the roof. We have dozens of effects ranging from colored smoke to fireworks and propane flames. Our Pyrotechnics team is ready to add life and glamour to your corporate convention anywhere in the country. Our customized indoor pyrotechnics are engineered with precision to maintain their safe distance from the walls and roofs. Our great stage designing techniques ensures that all people attending the party will be entertained to have a full view of the effects. Our complete services are licensed and our experienced pyro technicians are trained to create stunning indoor pyrotechnic displays with unbeatable designing techniques. There are no better choices at affordable prices than what Sky Wonder has to offer. We can create any kind of pyrotechnic display that will wow your audience and create incredible scenes for any kind of party or event that you have.